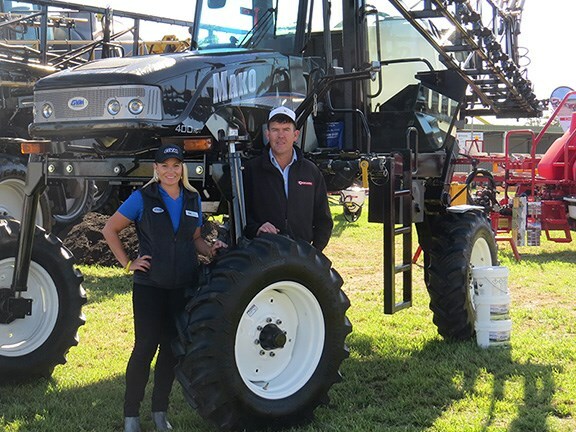 GVM marketing and international sales manager Erin Hutchison and Croplands Australia area sales manager Dave farmer with the GVM Mako 450 self-propelled sprayer at AgQuip 2016. 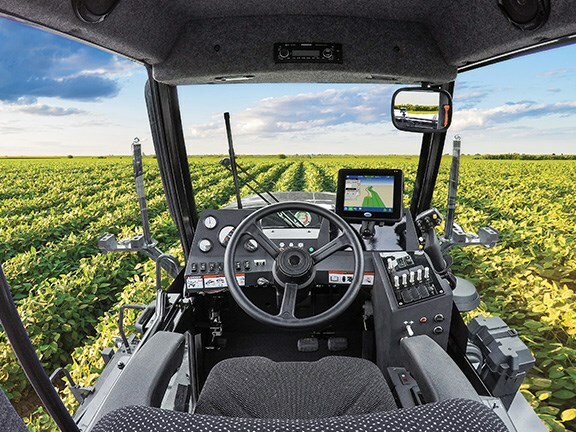 The view from the GVM Mako 450 self-propelled sprayer's cab. 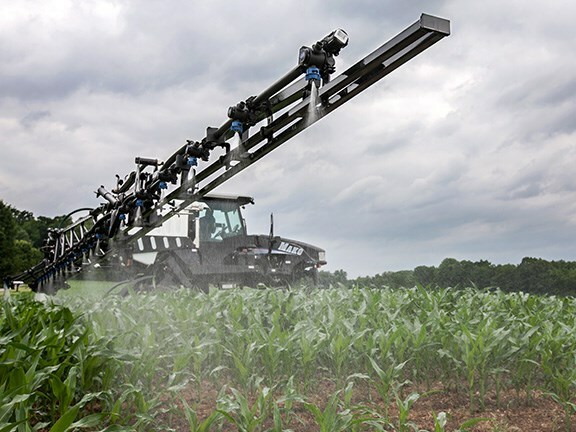 The GVM Mako 450 self-propelled sprayer. The GVM Mako 450 self-propelled sprayer made its debut at the AgQuip Field Days held last week in Gunnedah, NSW. It was shown off by Croplands Australia, which has been given the sole rights to sell it in Australia and New Zealand. The Mako 450 is one of the smallest and most compact self-propelled spray units on the market today. 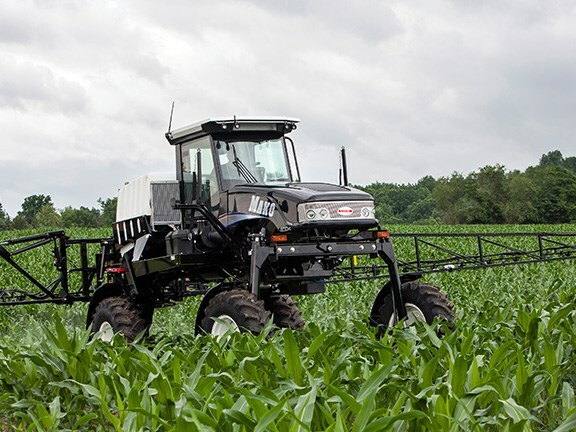 It features a 1500-litre polyethylene spray tank, has 117cm of crop clearance and boasts a turning radius of 4.2m. Its Cummins Tier III four-cylinder diesel engine produces 130hp at 2500rpm and is coupled to an Allison 5-speed automatic transmission. Croplands Australia area sales manager Dave Farmer says the Mako replaces the SpraCoupe, which finished up about two years ago. "The Mako is the lightest self-propelled sprayer on the Australian market," Farmer says. "It has a robust powertrain and is only 4 tonnes fully laden. "The Mako 450 will go into the rowcrop market as well as broad-acre farming," he adds. "With weight being an issue for farmers these days, regarding wheel tracks and compaction, it will leave far less of a footprint than its larger competitors." The hydraulic folding boom is available in either 18m or 24m widths. Rotary triple nozzle bodies are mounted at 25cm spacing along stainless steel spray lines. Its hydraulically adjusting rear axle and manually adjusting front axle allow track widths of 2m to 3m. Farmer says that its lightweight design means it can get back to work sooner after wet weather, adding: "In ideal conditions and with a nurse tank sitting with me I can cover 600 hectares in a day."